Wrapping it up, and movin’ on… | RV There Yet? We were the last couple to leave the project Thursday. It was sad to say good-bye to folks who had become such good friends in the short three weeks of our stay there. But truly it isn’t really a “good-bye”. We often say – see you here or there or in the air! Several of the couples were headed to Florida, so needless to say the State of the Storm was on everyone’s mind (and TV!) Most had decided to take a slow trip home and we all were praying that the storm would just fizzle out once it got to the Gulf. We set off to Nashville to do the (expensive) post-project restocking! Costco, Walmart, Home Depot – we did our part in supporting the local economy! 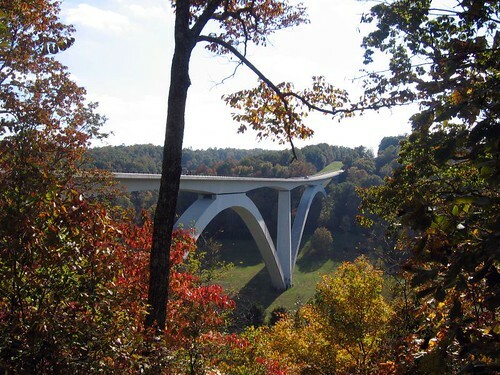 From there we set off down the Natchez Trace, a National Scenic Highway that goes from Nashville to Natchez, Mississippi. We started with a late lunch at the Loveless Cafe at the beginning (0r end depending on your point of view) of the Trace. Amazing hot biscuits, pretty darn good pulled pork! Anyway, about the Trace…. 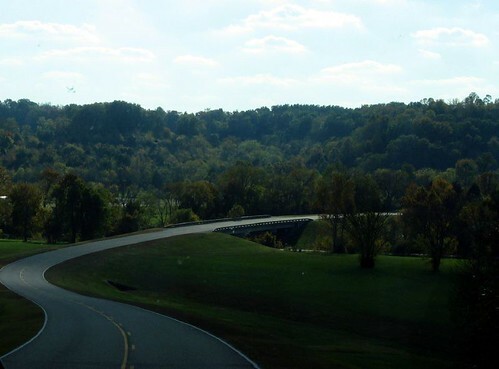 It’s a beautiful winding two lane highway with a speed limit of 50. NO TRUCKS!!!! We’ve only gone about 60 miles and are staying overnight at a free campground that is on the Trace. So far, so good! 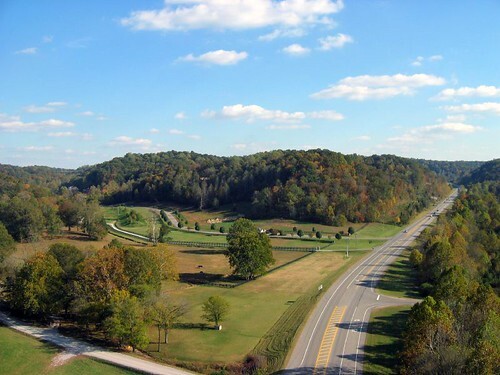 Lots of historic places to stop along the way –in fact this campground is the Meriwether Lewis Campground, as in Lewis & Clark, where Mr. Lewis is buried (hopefully not at campsite 2!). Tomorrow we’re taking just the truck and going exploring. We have almost a week to do these 400 miles, so we’re going to take our time. Ah – it’s a good thing!